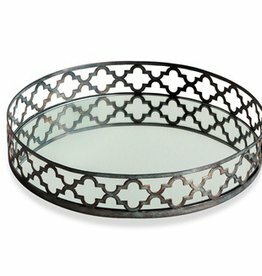 A classic Moorish design encircles this glass tray and makes for a great looking versatile accessory suitable for almost any room in the home. 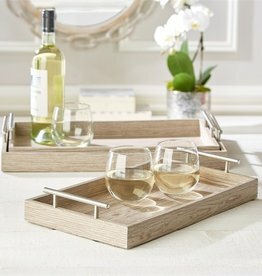 The Regina Andrew Strip tray delivers vintage allure to tabletops. 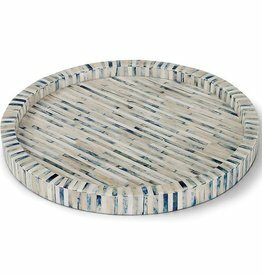 Crafted from resin, this round platter features distressed indigo and white diagonal stripes. 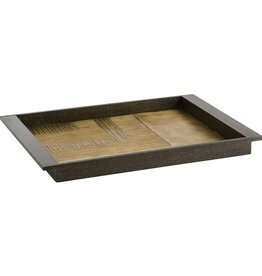 Overall Dimensions: H: 2 in W: 23 in D: 16 in This cerused oak tray has a wonderful brass clad surface that has been hand-etched with a pattern inspired by the work of enamel artists in the 60's. 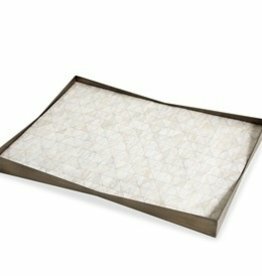 The lipped edge makes it easy to carry. 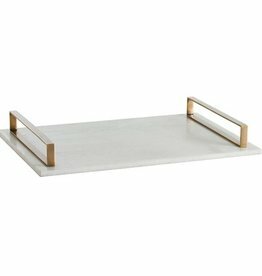 This white polished marble slab tray is balanced with brass rail handles. 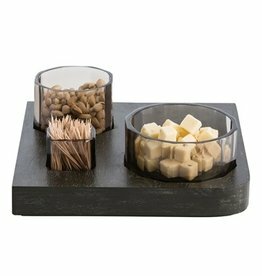 A sleek solution to serving drinks, displaying collectibles or entertaining at parties. Food safe but use care as marble stains easily. 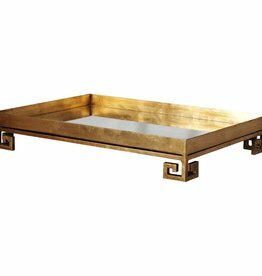 Timeless, elegant and thoroughly chic, this metal tray with an antique brass finish by Interlude Home is inlaid with bone pieces in so many creamy shades of ivory. 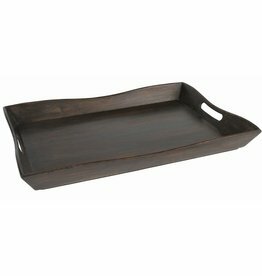 Decorative and functional mango wood tray in dark brown finish with cut out handles. 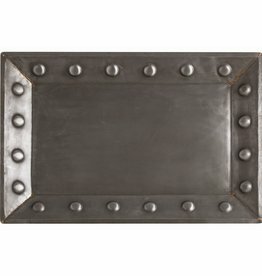 This large tray has a natural iron finish with brass weld marks at the corners. 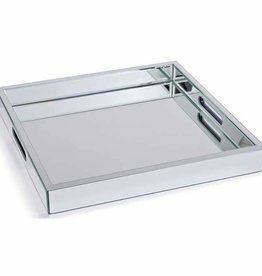 The flat bottom is perfect to rest on an ottoman or other soft surfaces.